Celebrate Christmas with Thomas & his friends in their biggest Holiday Collection yet! 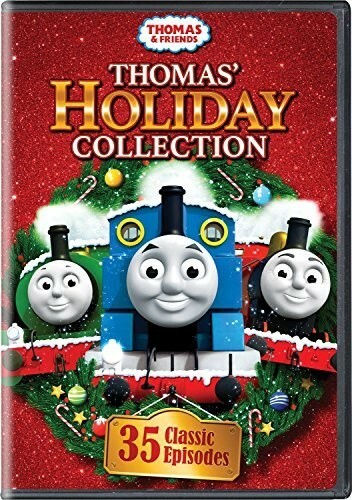 This festive 6-disc set is packed with 35 exciting adventures, including classic episodes from Merry Winter Wish, Thomas' Snowy Surprise, Toy Workshop, Merry Christmas Thomas, Ultimate Christmas and Holiday Express. Unwrap the holiday spirit with these wonderful Thomas tales!